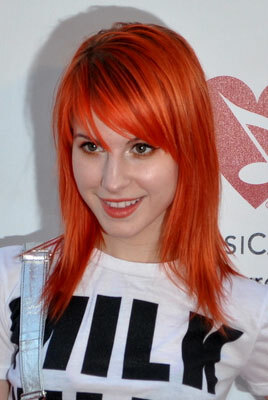 If you have the same hair length as Hayley Williams, then your stylist can achieve her famous look by re-styling your hair without loosing length by graduated layer cut combined with a mix of non-uniform texturizing technique like razor cutting, slicing and point cutting or ask for a overcut style. This explanation might not be enough to get the same look. 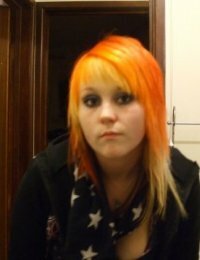 She had sported so many styles and color variations. There are too many variables and details that can't be explained by words. I suggest you take a picture of the style you want to your stylist and ask for a similar look suited to your face. You can also see some layered haircuts for inspiration. Layered haircut but also used slide cutting with razoring. 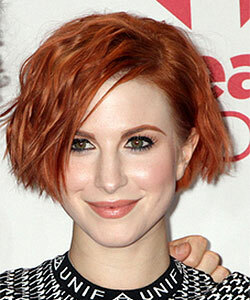 Mid-length bob version with plenty of volume. Pageboy/bob and deep smokey eye makeup! 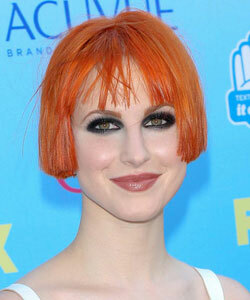 Hayley williams sported a tousled curled bob at the MTV New years performances, how ? It was gorgeous. Hints and tips much apreciated. Amy, I don't remember her with a curly bob, but with a tousle wavy look. If that's the style you looking for then its easy achieved with a simple medium size or small flat iron Use a heat protection spray as always. Place your flat iron with some distance from root and turn the iron up and hold for some seconds and then move it down the hair section a little, and turn it down the other way. Repeat this process section by section all over for a uniform look or place it on random sections with different sizes for more tousle wavy look. Be creative! And leave the ends free. 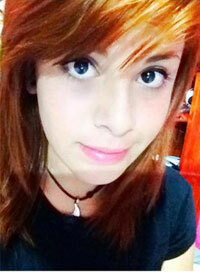 I have straight hair and would also like a hair cut like hers but my hair may go wavy when cut in layers. It depends how straight your hair really is and if it does go wavy, you will have to use a hair straightener! 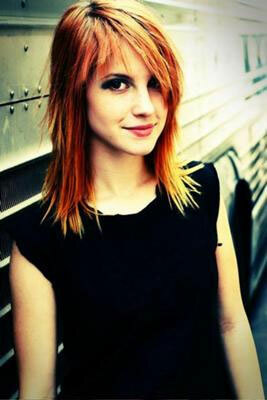 Well, if you want to achieve this look then your best bet would be to have straight hair. 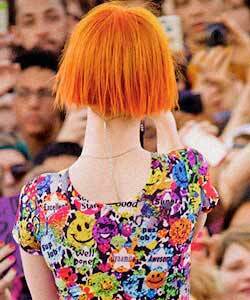 Then take this photo into your local hair salon and tell them you want your hair to be cut, and styled just like Hayley's. Make sure you pay attention when they are styling your hair so that you can do it when you get home. If its not too much, ask them if they could write down the products and techniques that they used to achieve your look of hair. 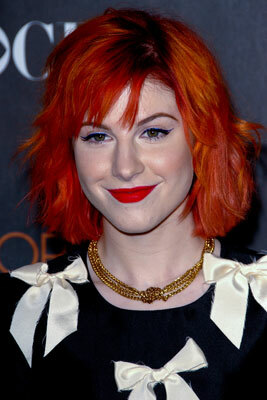 of course, if you want to get it dyed like hers, it might be even harder to achieve. But hey, if you've got the time go for it! Do you like to share your style and inspiration? 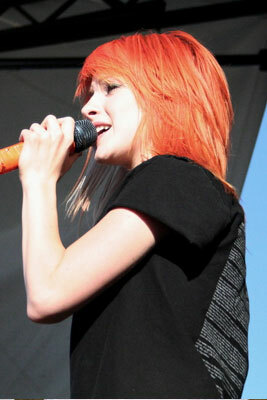 Add your version of Hayley's hairstyle to this page.